Hidden Cove Park & Marina Welcomes the Residents of Plano! Plano Is Nice, But Hidden Cove Is Nicer! Just a few of our amenities include fishing, swimming, various boat rentals, several camping options, picnic tables and playgrounds, a hiking trail, and outdoor games. 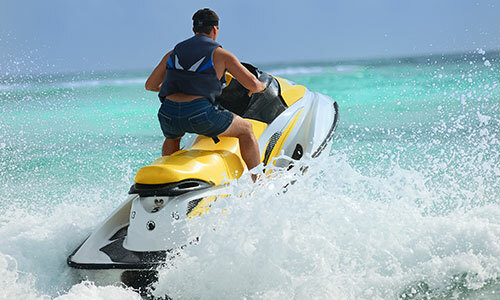 We also offer kayaks, canoes, paddleboats, jet skis and pontoon boat rentals. Our lakeside cabin shelters are the perfect way to cozy up. On the premises, we’ve even got a grill and bar. It’s all within a short driving distance from Plano, Texas. Visit our whole site for details on these activities and much more. Are you living in Plano and need to get away? Pack up the kids and let them experience life outside of “things that go beep” by planning a camping trip to Hidden Cove! If you live in Plano and are looking for a weekend retreat, consider our park. You’re not even an hour’s drive away from relaxation and entertainment both on and off the lake. 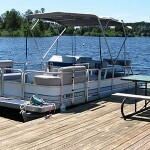 Our park on the lake is fun for every age in your family, and we invite you to come see for yourself. Pricing for most activities are listed on our Park Info page, and you are always welcome to give a call to confirm a price or ask questions. Visit Hidden Cove to come swimming safely, grill out and picnic, have a few drinks at Captain Jacks, go fishing, or play a round of horseshoes. It’s all here, and you can stay as long as you’d like. Even if you’re just looking for a fun outing, we’re the place to be. We’re not far from Plano and hope to see you soon!